The PM's press secretary is citing privacy concerns. 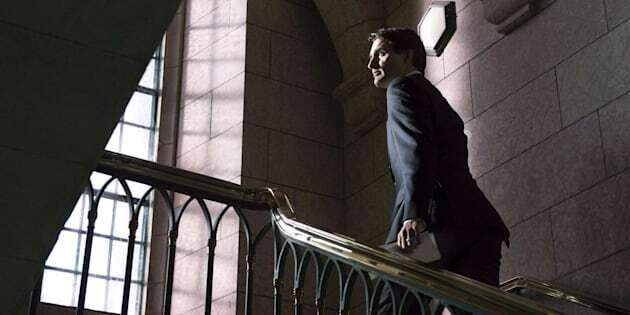 OTTAWA — The Prime Minister's Office won't release the findings of a third-party investigation into allegations of sexual harassment against a former aide — and says its standard will be to keep taxpayer-funded probes private. Claude-Éric Gagné served as deputy director of operations in Prime Minister Justin Trudeau's office. He had a heavy hand in the Liberals' big 2015 election win in Quebec — the party's best result since 1980. Gagné resigned last week before the PMO received the results of an independent investigation into his behaviour. Several women alleged Gagné had acted improperly towards them. He denies any wrongdoing. "I collaborated fully and completely with the investigation, whose purpose was to verify the complaint of inappropriate behaviour that was lodged against me and of which I firmly refute all allegations," he told HuffPost Canada Friday. Trudeau's press secretary Eleanore Catenaro told HuffPost Friday that the probe by the law firm Rubin Thomlinson would not be released publicly because Gagné had resigned. But Monday, Catenaro said the report "will not be made public due to HR privacy considerations, and to protect the integrity of the process — a process which needs to be protected regardless of the status or outcome — this does not have to do with whether or not there was a resignation." Catenaro initially declined to say whether this standard would be applied to other probes. But later offered: "Our standard practice is not to release the reports due to privacy considerations and to protect the integrity of the process." In January, Calgary MP and minister of sport and persons with disabilities Kent Hehr resigned from cabinet after allegations he made inappropriate sexual remarks to a political staffer at the Alberta legislature 10 years ago. Days later, another Liberal MP's staffer came forward alleging Hehr had groped her during a recent Liberal Christmas party. The PMO hired the same firm to investigate and Trudeau has refused to say whether the independent probe into Hehr's behaviour will be publicly released. Last August, the other elected Liberal from Calgary, Darshan Kang left caucus after allegations that he harassed a female staffer in his constituency office. Another staffer during his time as an MLA in Alberta also came forward to say she had experienced unwanted physical attention. That report is being handled by the office of the Chief Human Resources Officer (CHRO) of the House of Commons. Since its formation in late 2014, the CHRO has never found any substantiated claims of harassment. Nine formal complaints have been lodged, including three alleging harassment though none specifically dealt with sexual harassment.